Rather than entertain issues about competition on the set of 'My Binondo Girl,' Matteo says he and his co-stars are happy for the others' shining moments on the show. 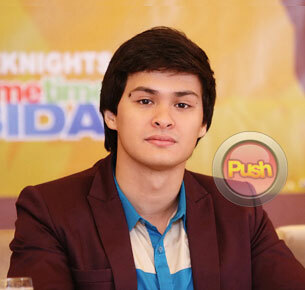 Actor Matteo Guidicelli clarified that there is no competition among Kim Chiu’s leading men on the teleserye My Binondo Girl. Aside from Matteo, Jolo Revilla, and Xian Lim are the other love interests of the actress on the primetime soap. Currently, it is Xian and Kim’s tandem that has a huge following. On the other hand, Matteo said that he going home to Cebu this coming Christmas to catch up with family. “I haven’t been with my family for a long time so babalik ako don kasama ang buong pamilya ko. Masaya.” He added that he and girlfriend Maja Salvador have not yet discussed about their plans together this coming holiday season.